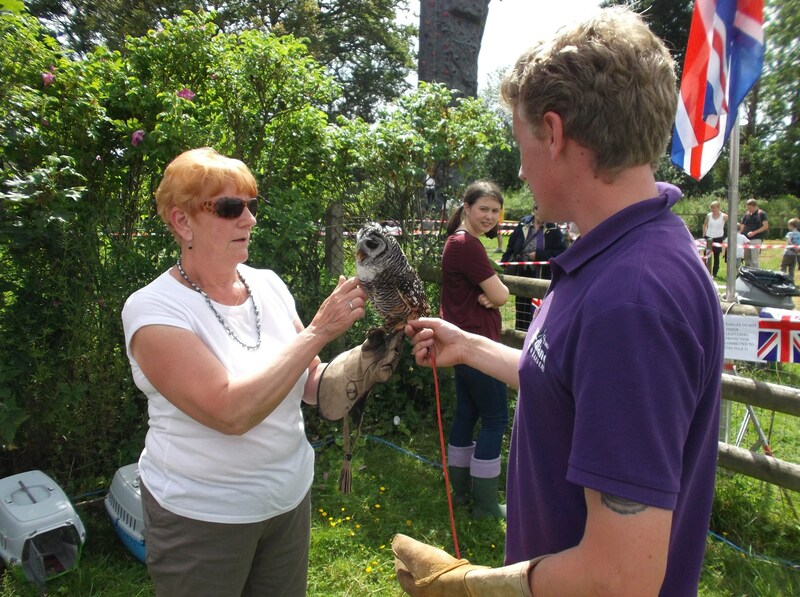 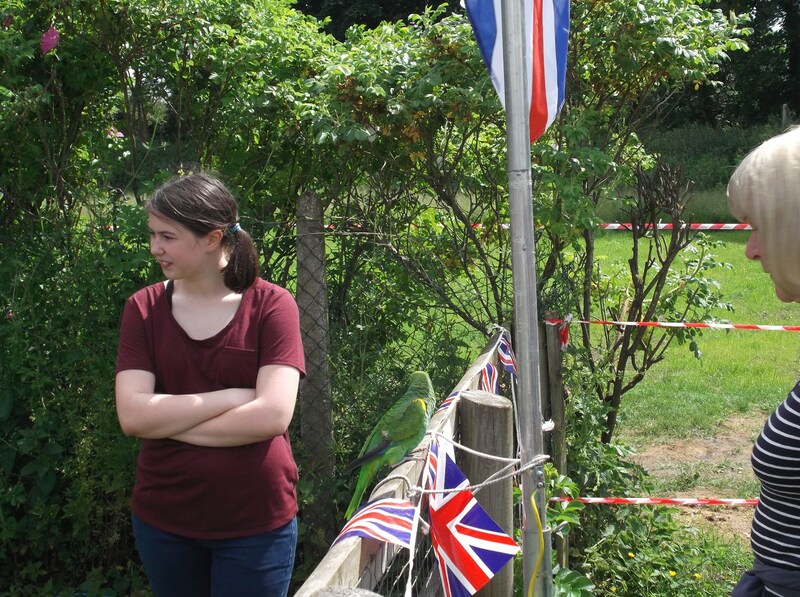 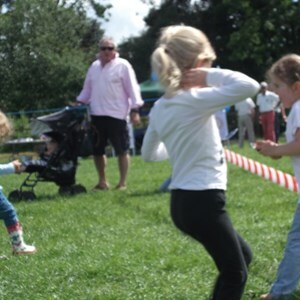 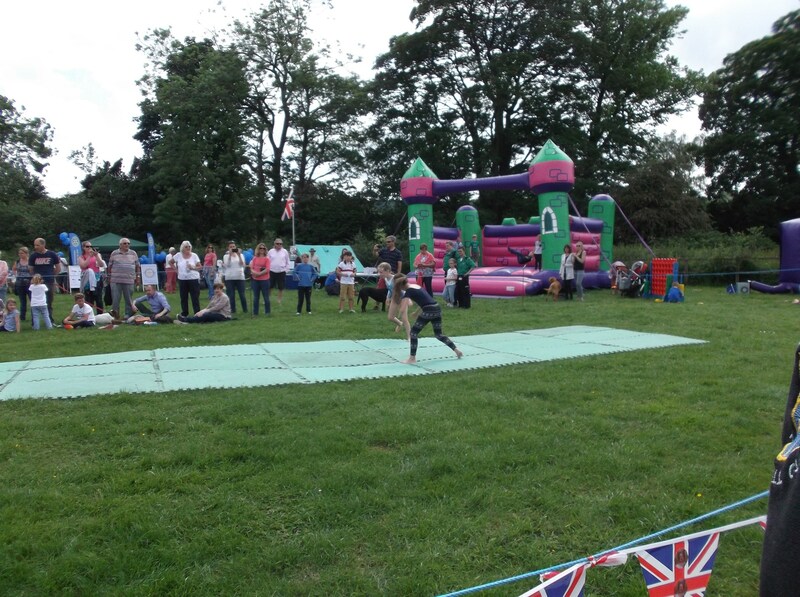 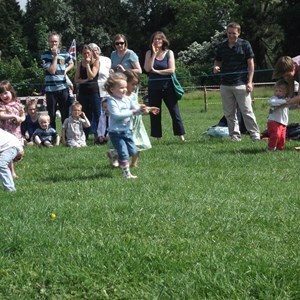 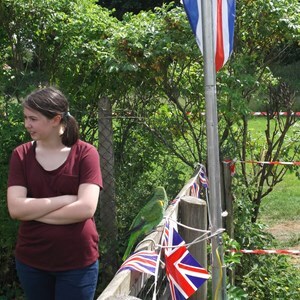 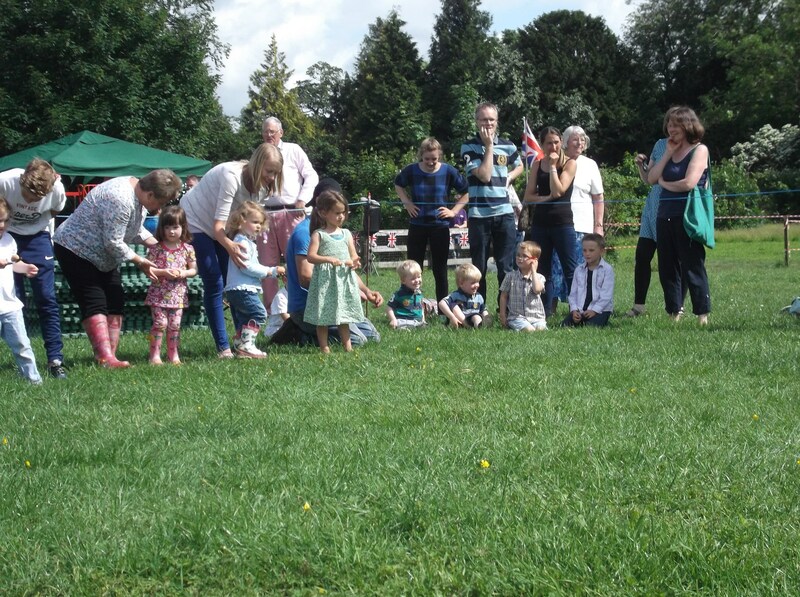 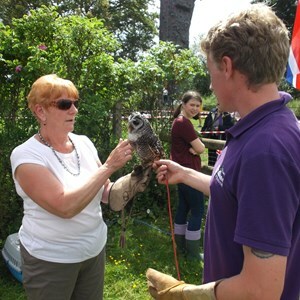 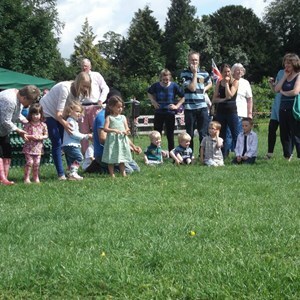 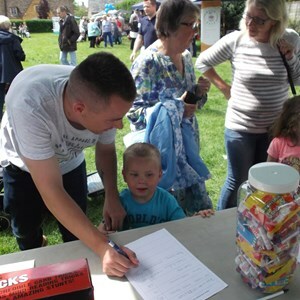 The Parish Council celebrated Queen Elizabeth II's official 90th birthday by organising a Family Fun Day for local residents at The Naight Playing Field in Lansdowne. 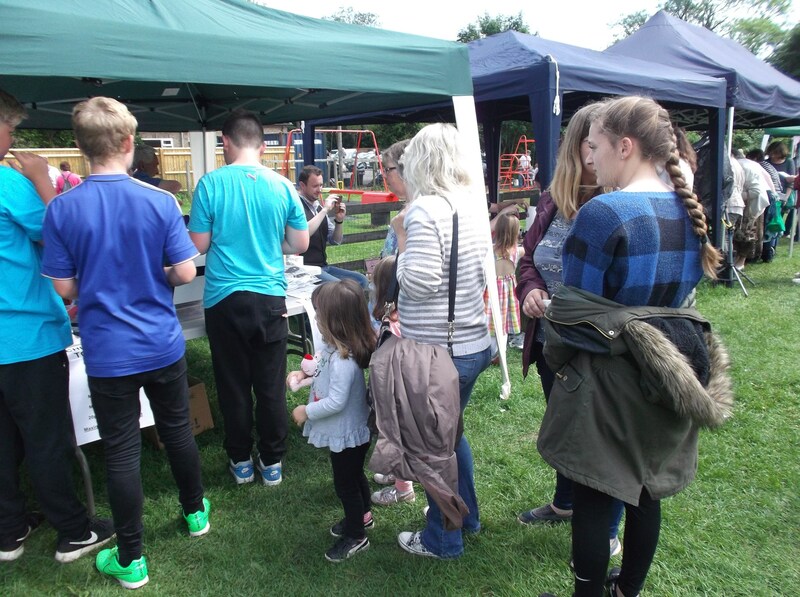 The day went really well and brought members of the local community together, despite the morning weather which may have put a few residents off, those who did come along seemed to enjoy themselves and we had lots of good feedback. 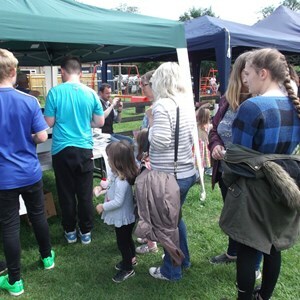 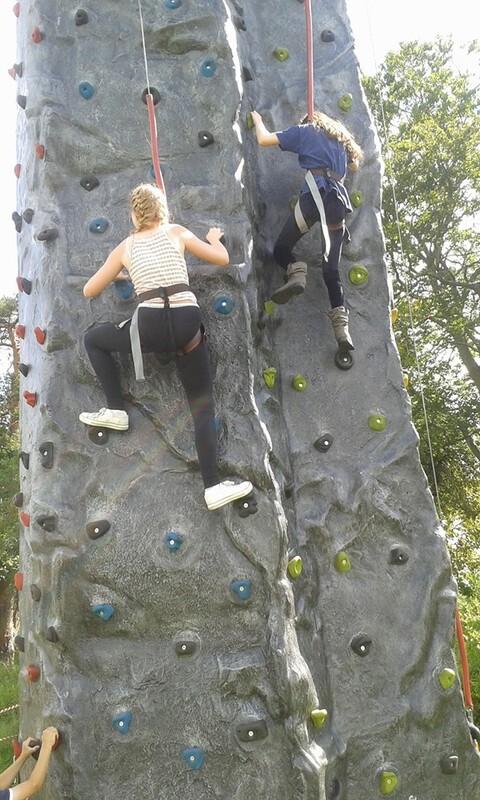 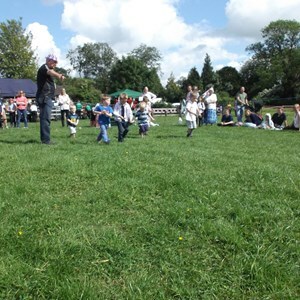 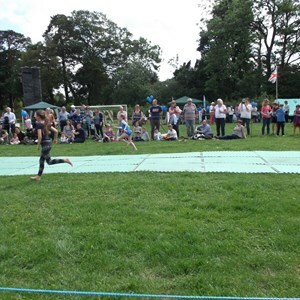 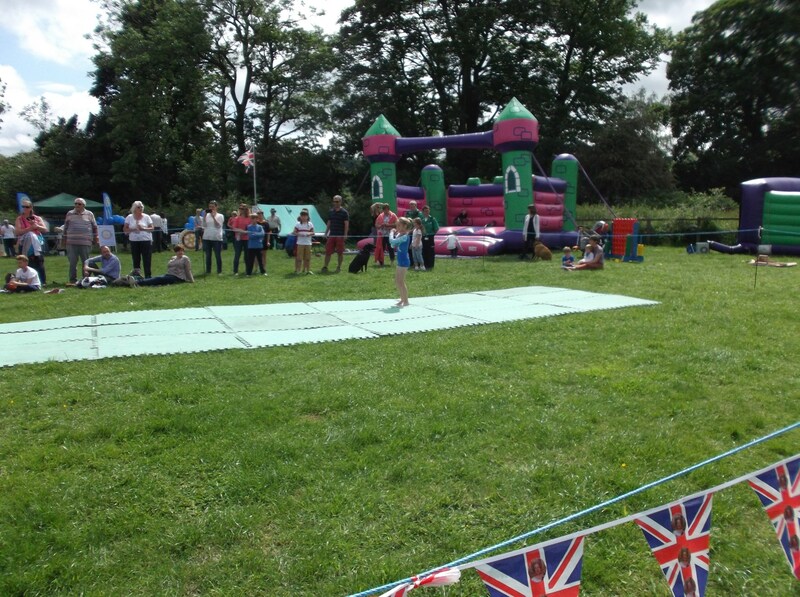 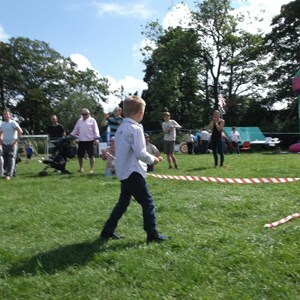 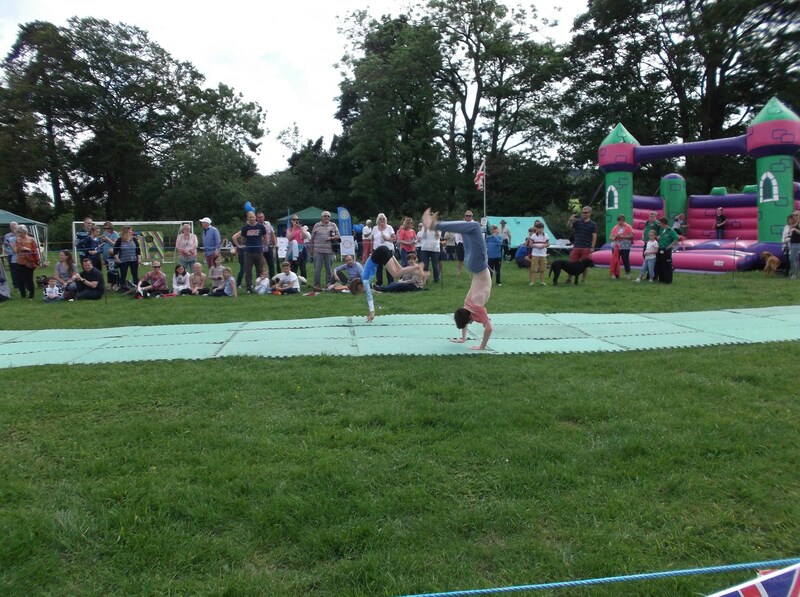 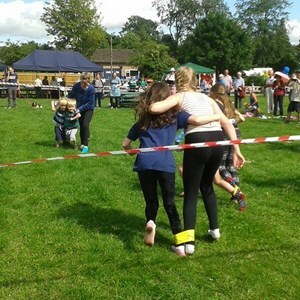 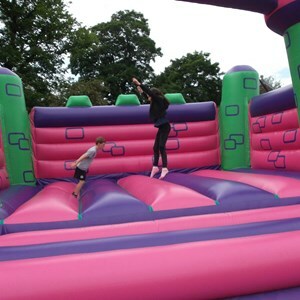 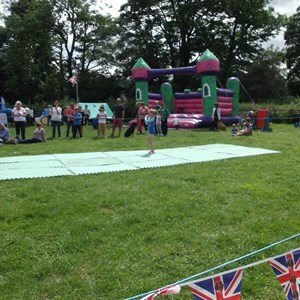 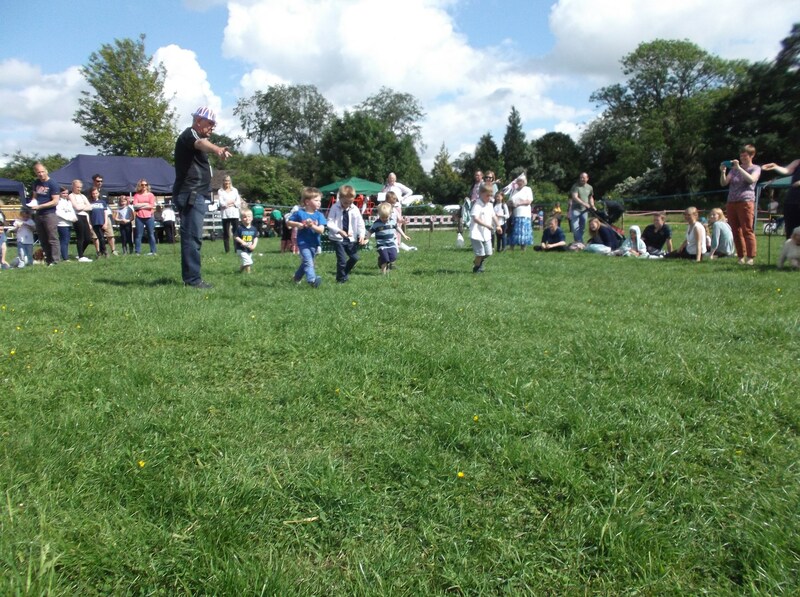 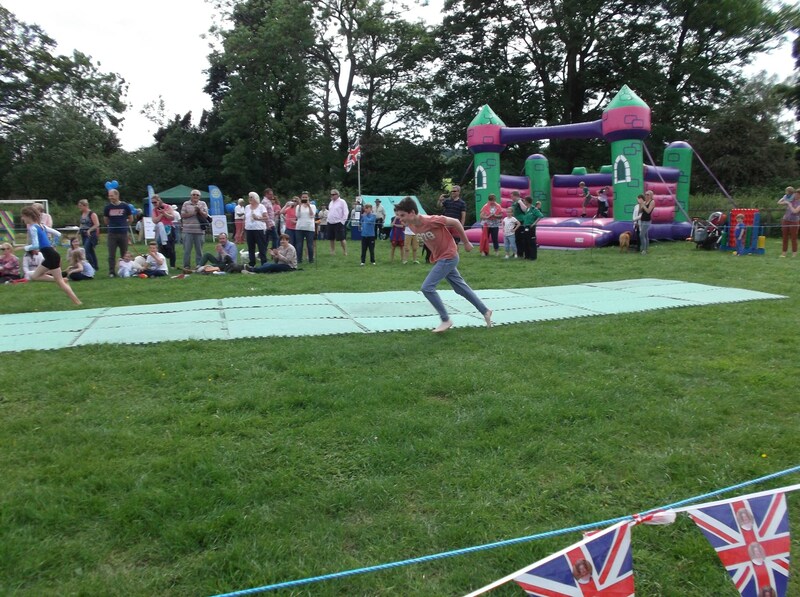 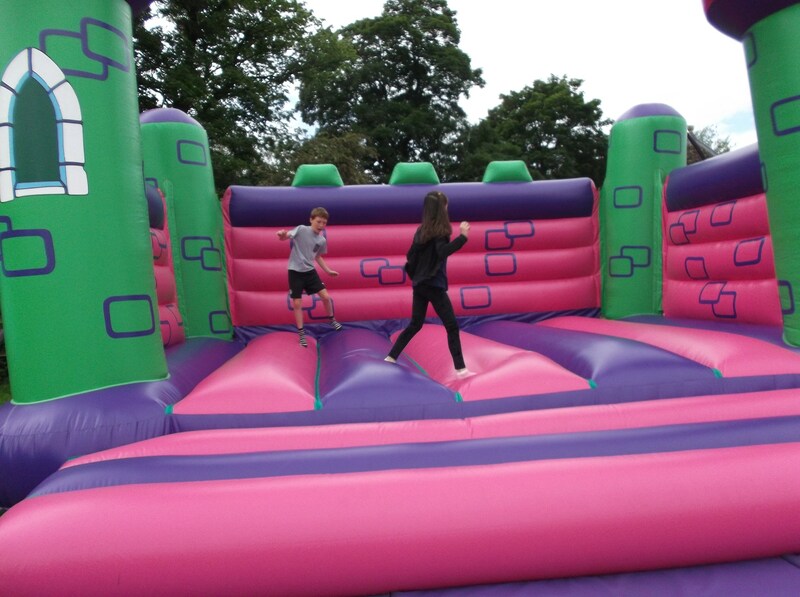 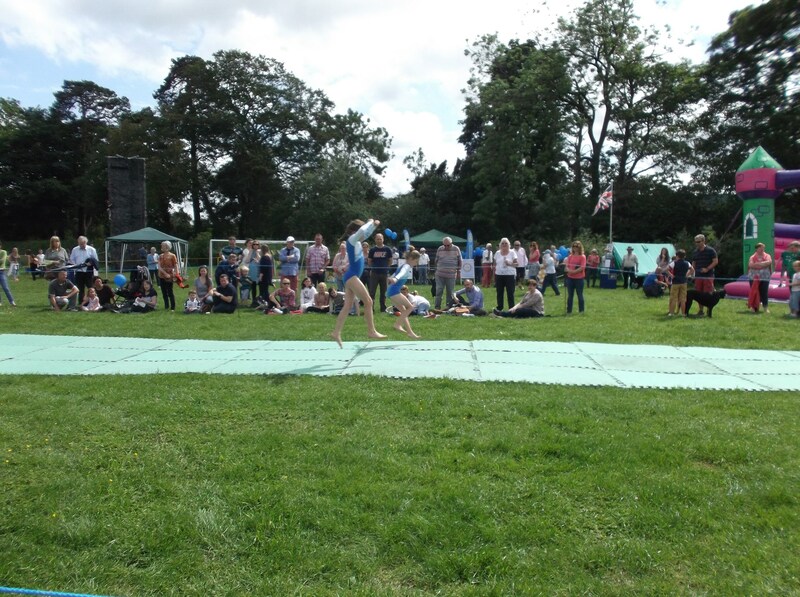 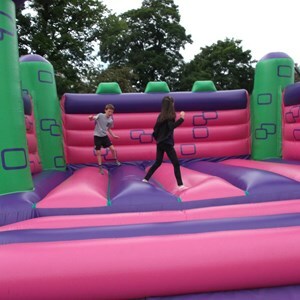 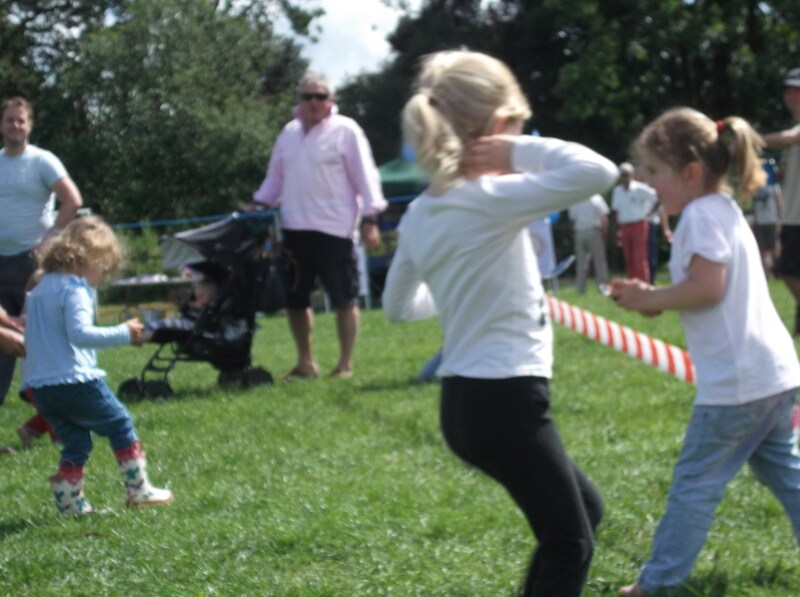 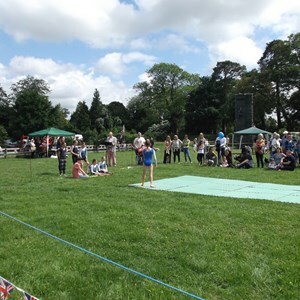 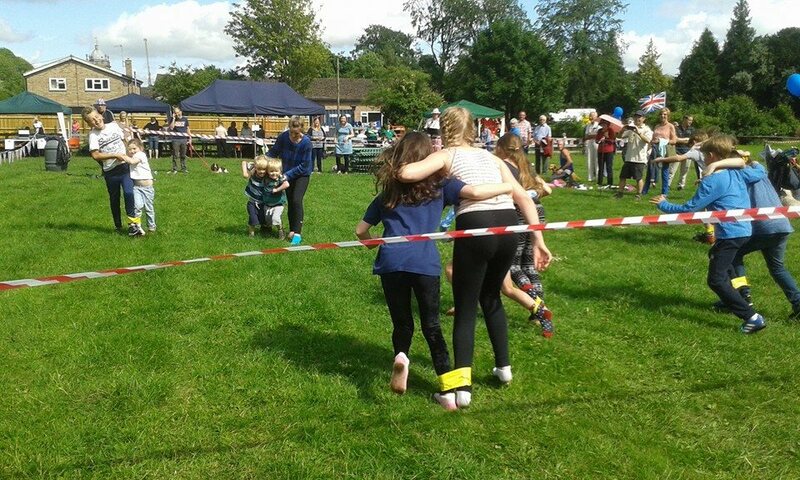 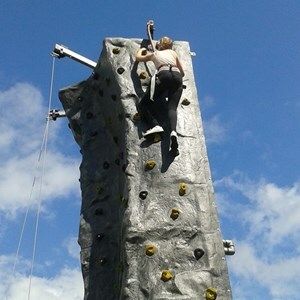 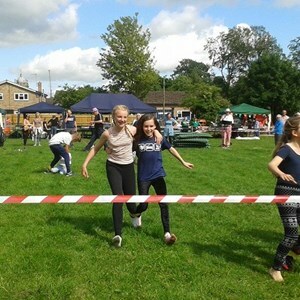 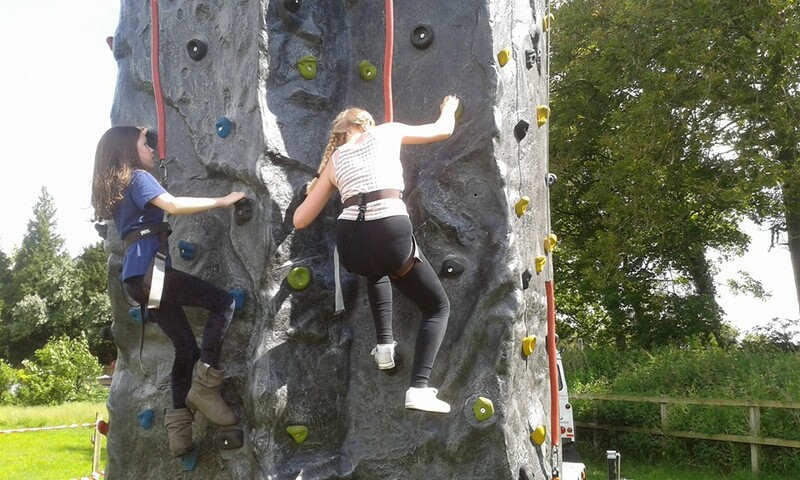 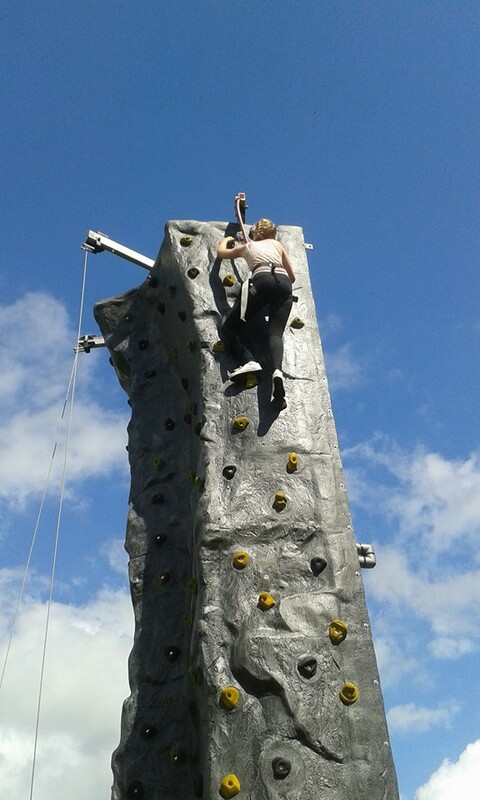 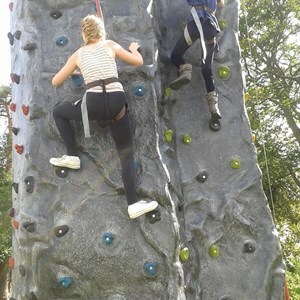 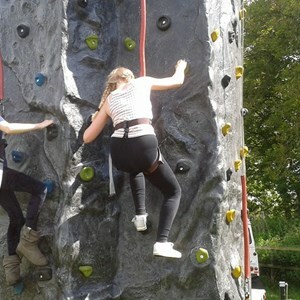 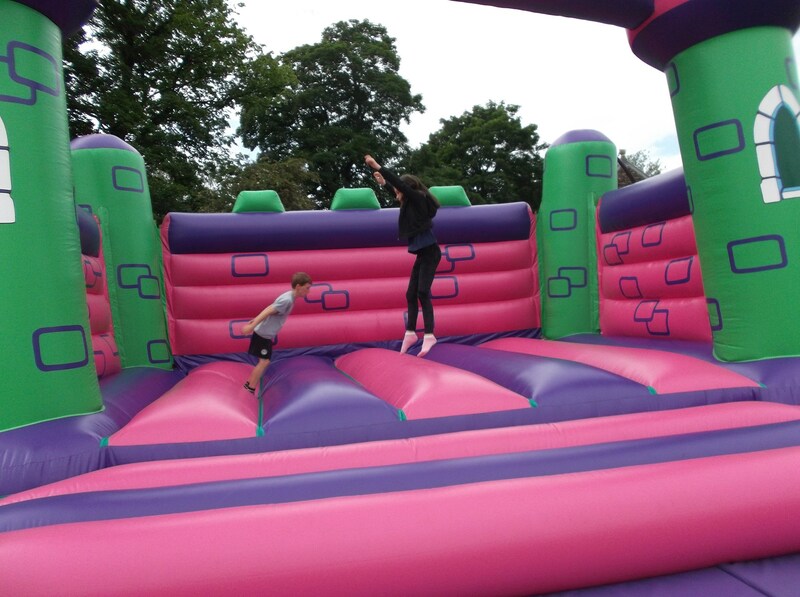 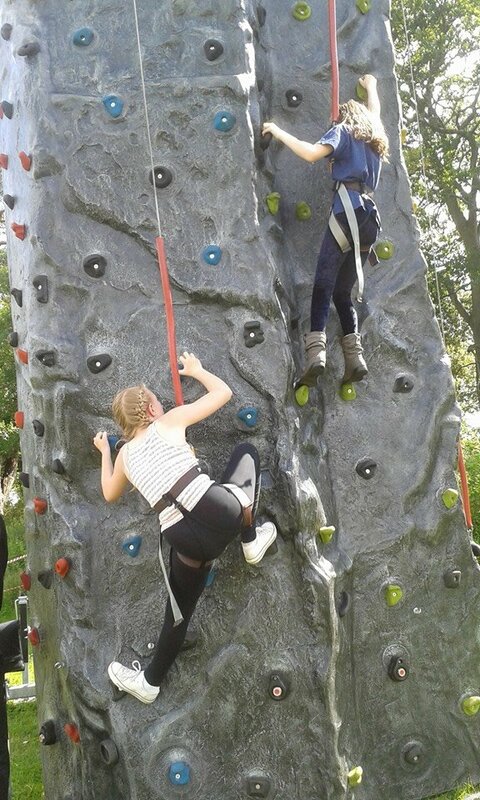 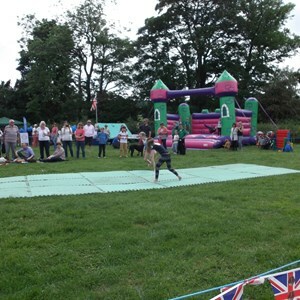 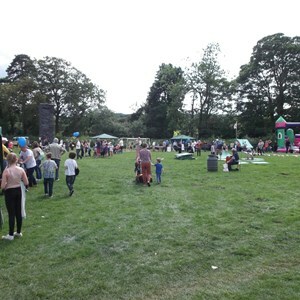 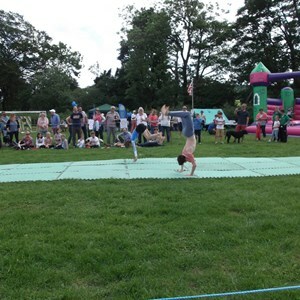 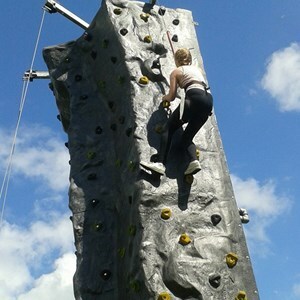 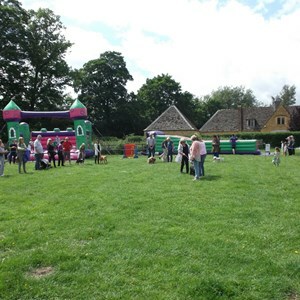 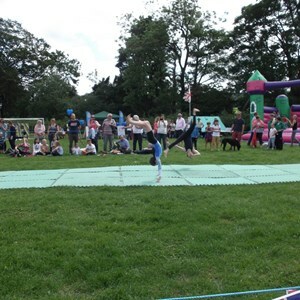 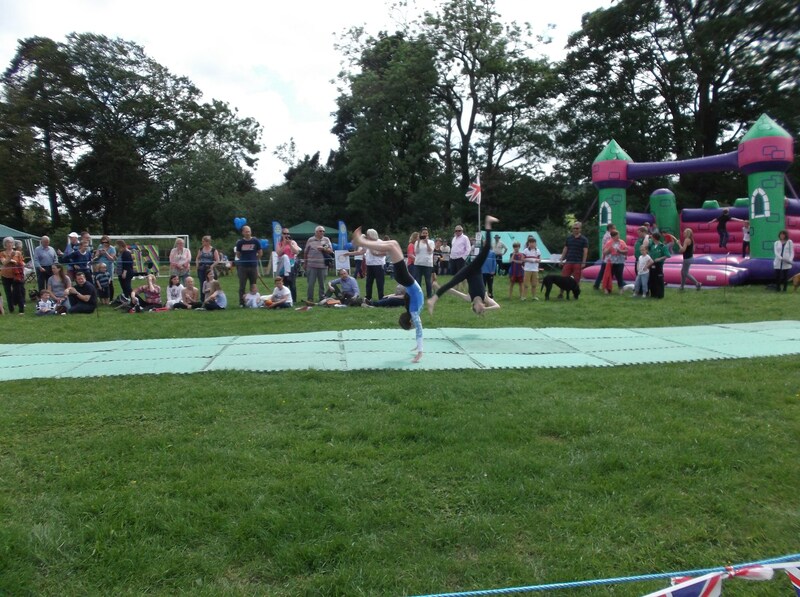 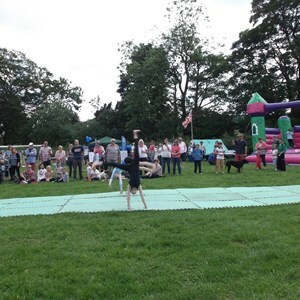 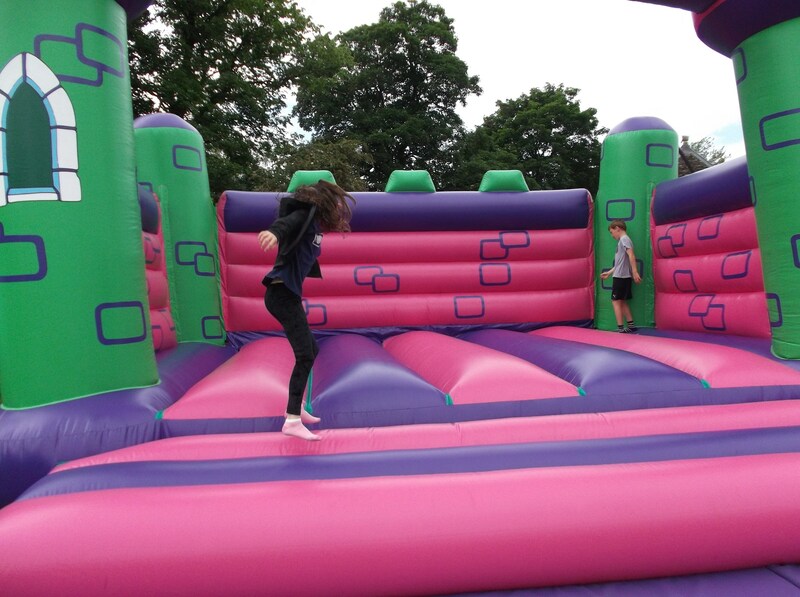 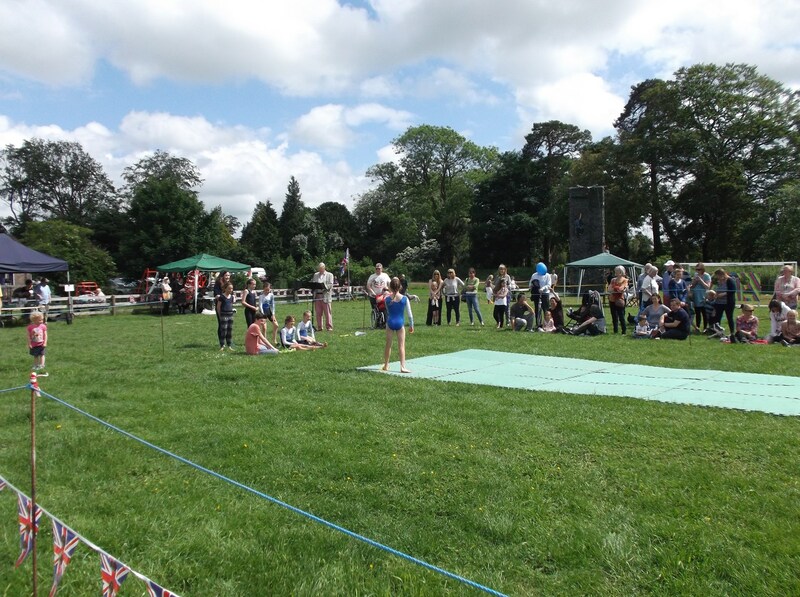 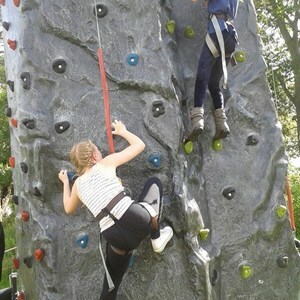 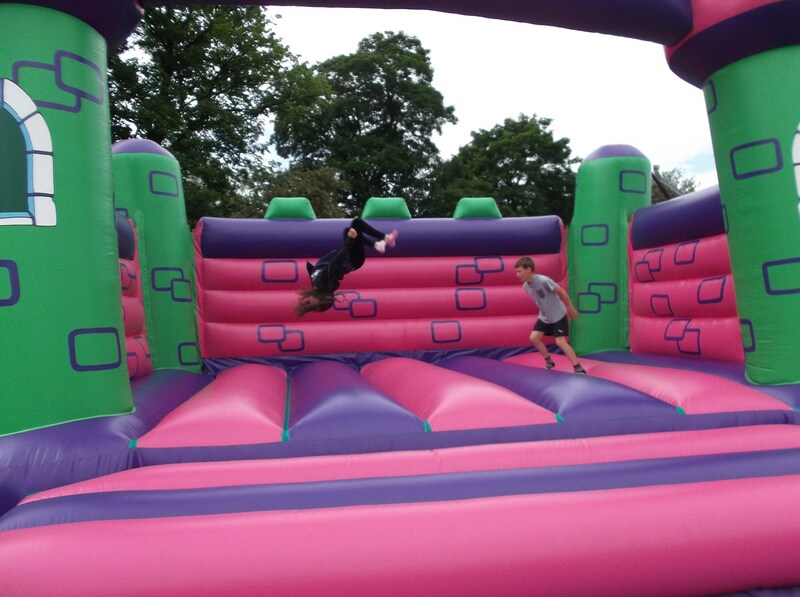 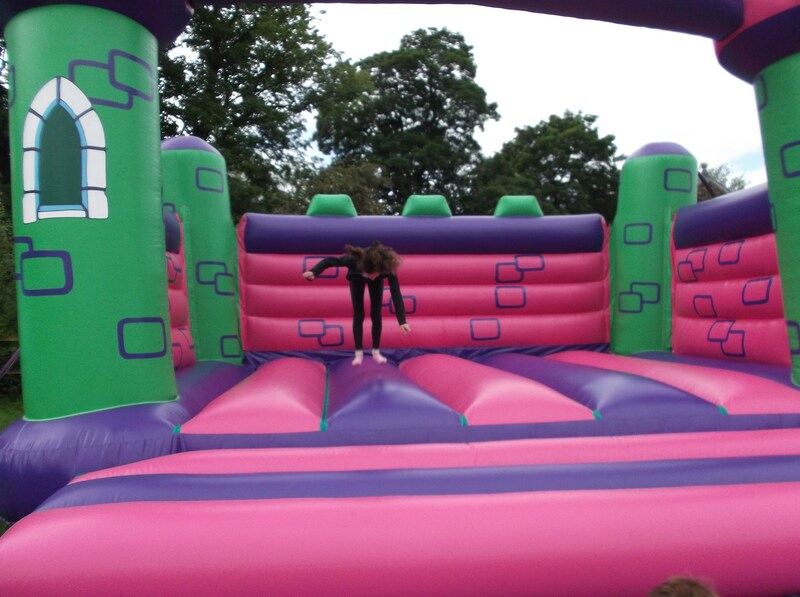 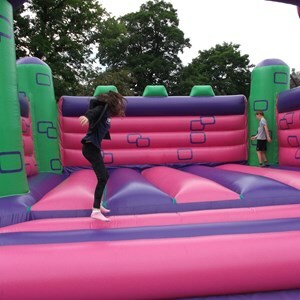 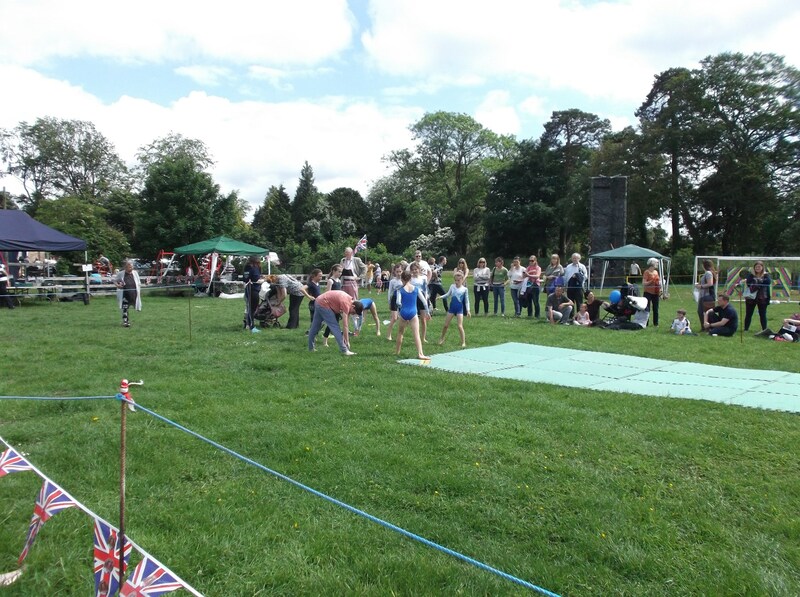 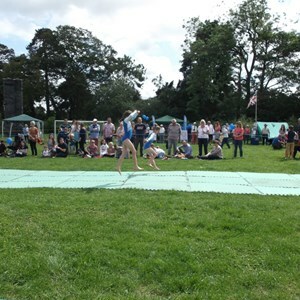 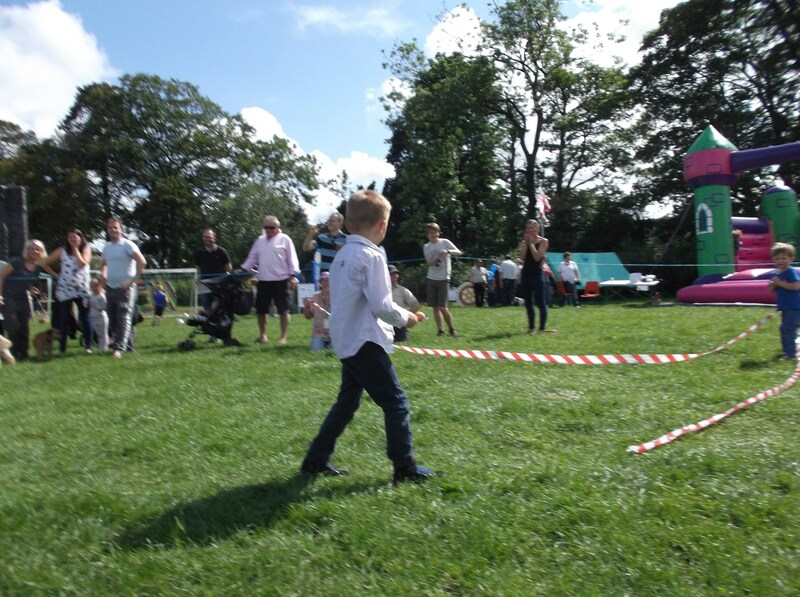 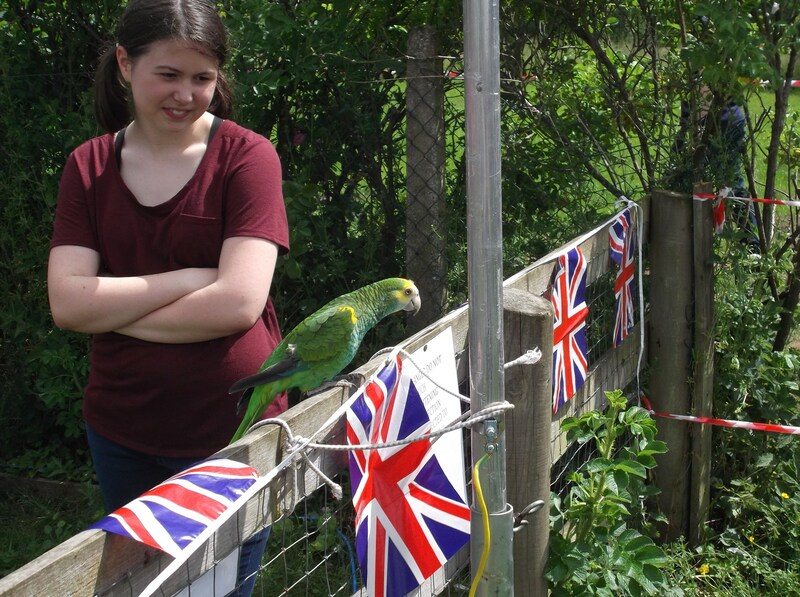 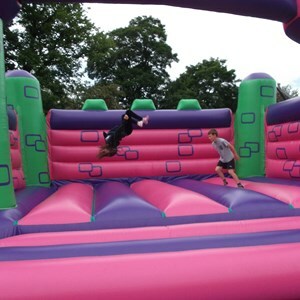 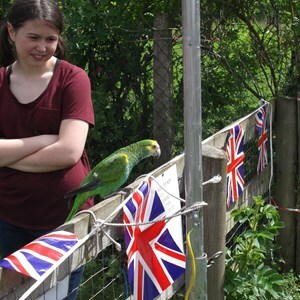 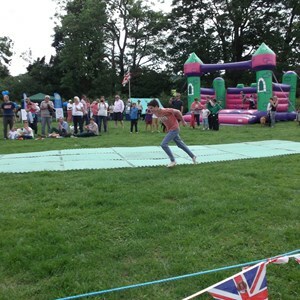 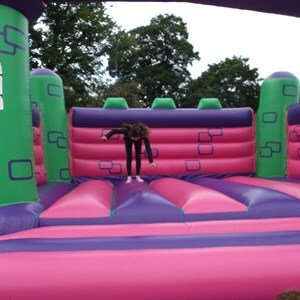 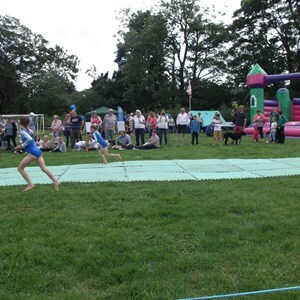 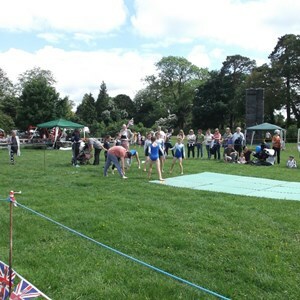 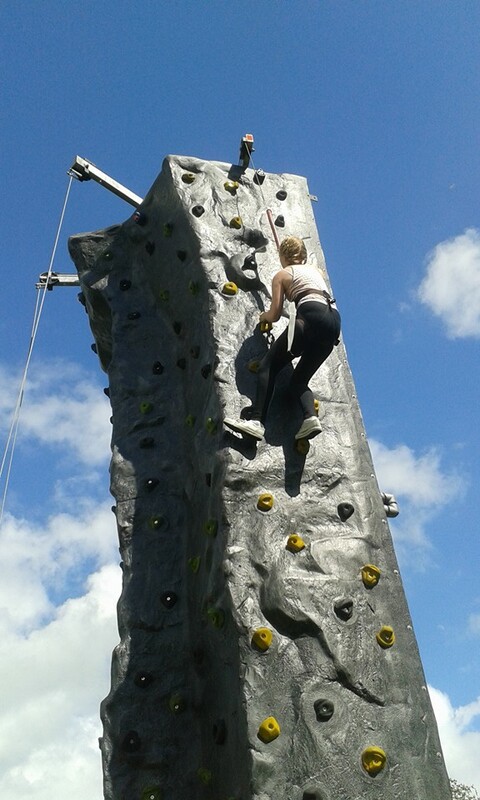 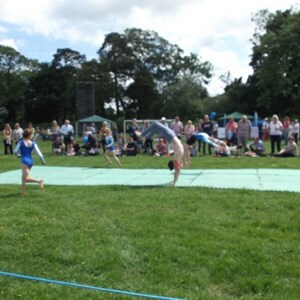 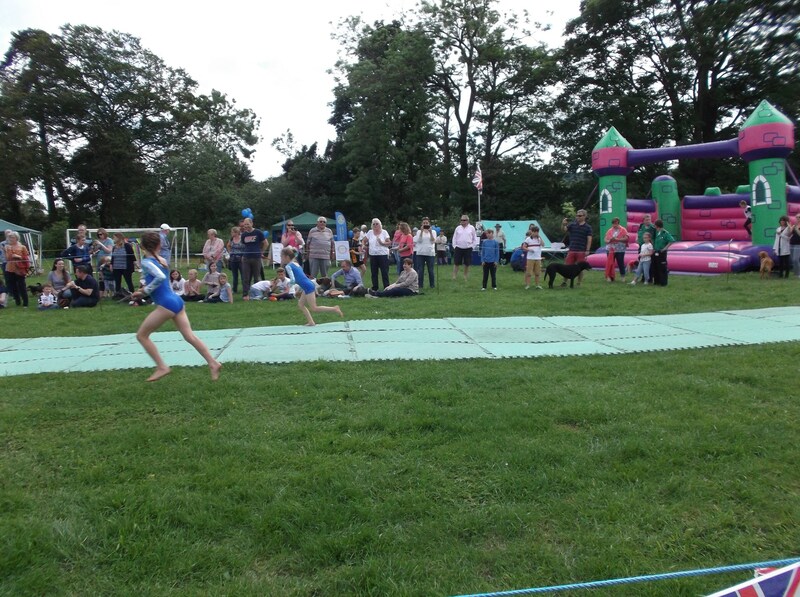 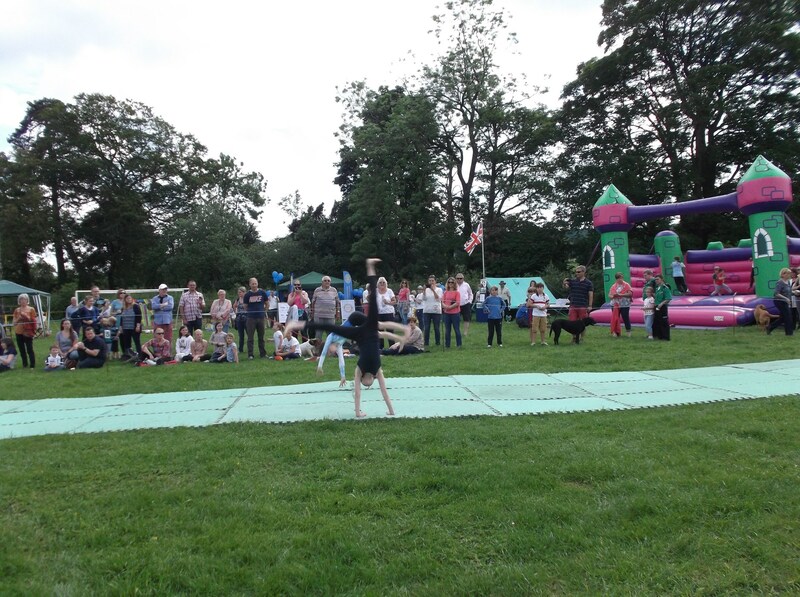 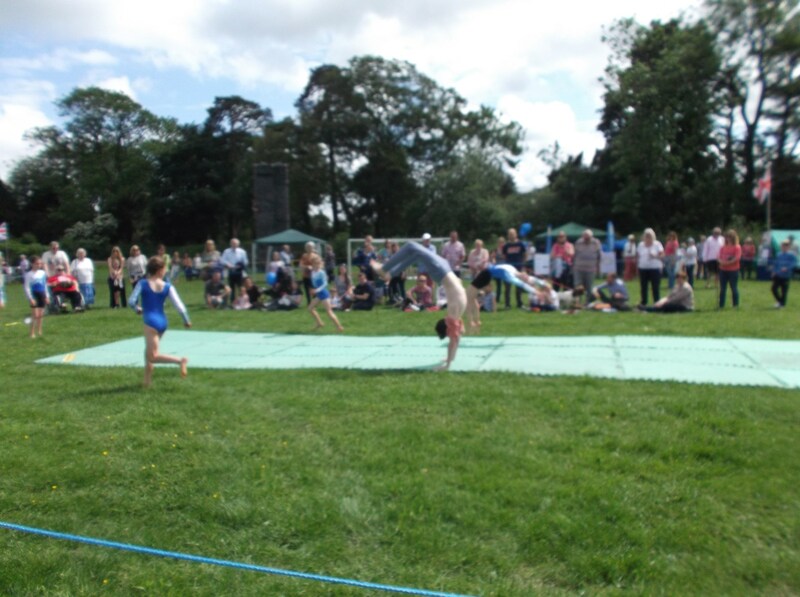 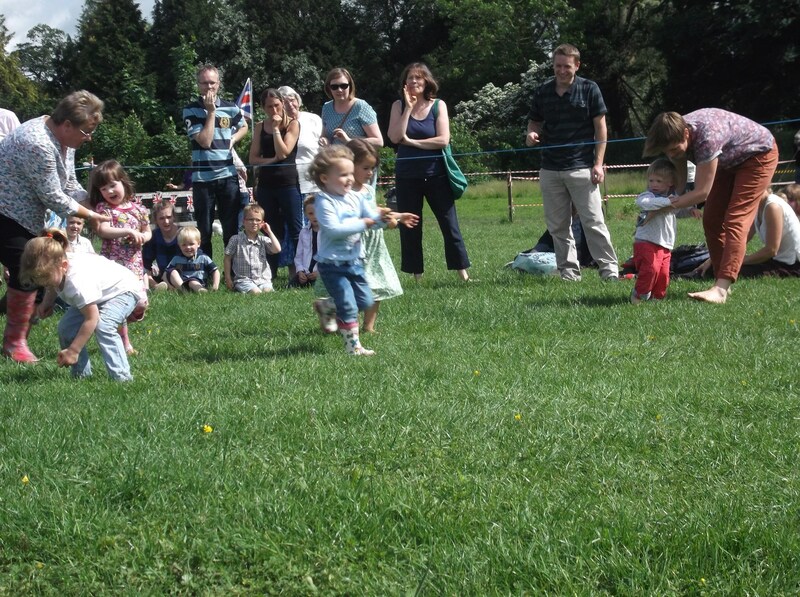 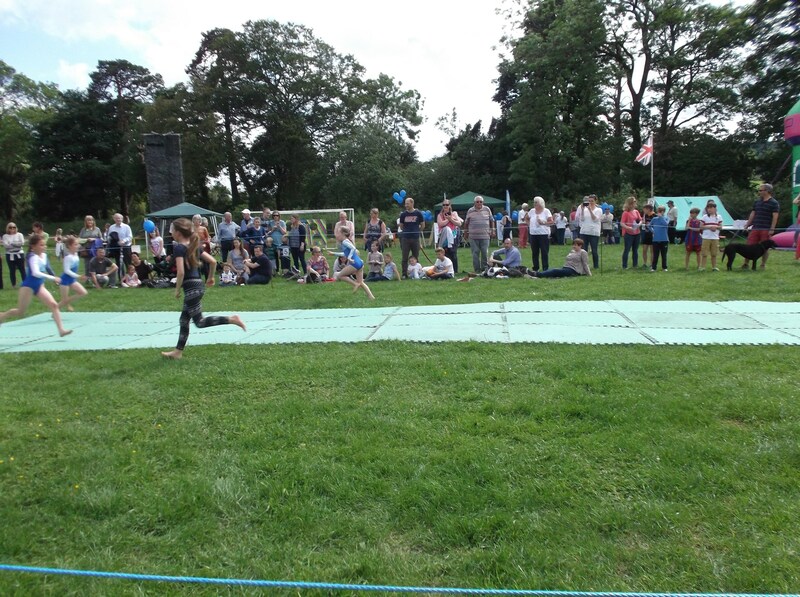 There were numerous activities to take part in or just enjoy watching, including a climbing wall, a bouncy castle, a bungee run, country dancing, a gymnastics display and a dog show. 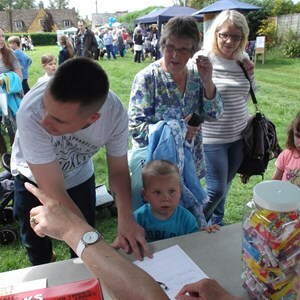 Various prizes were also up for grabs for participation in quizzes, competitions and several fete games. 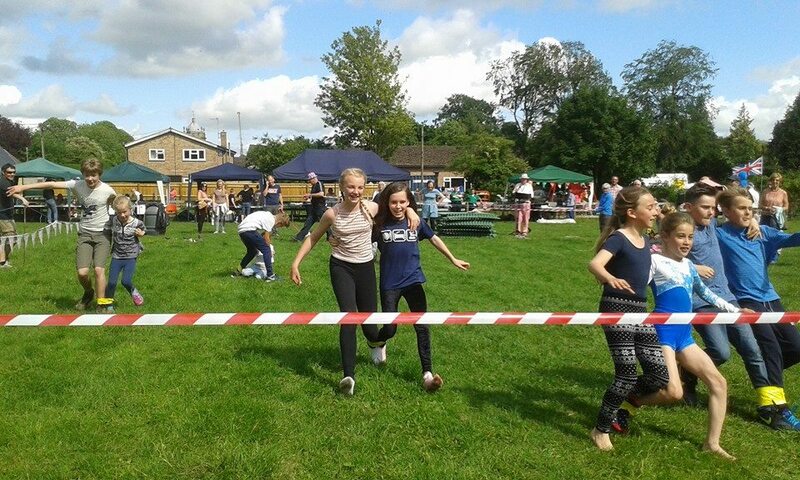 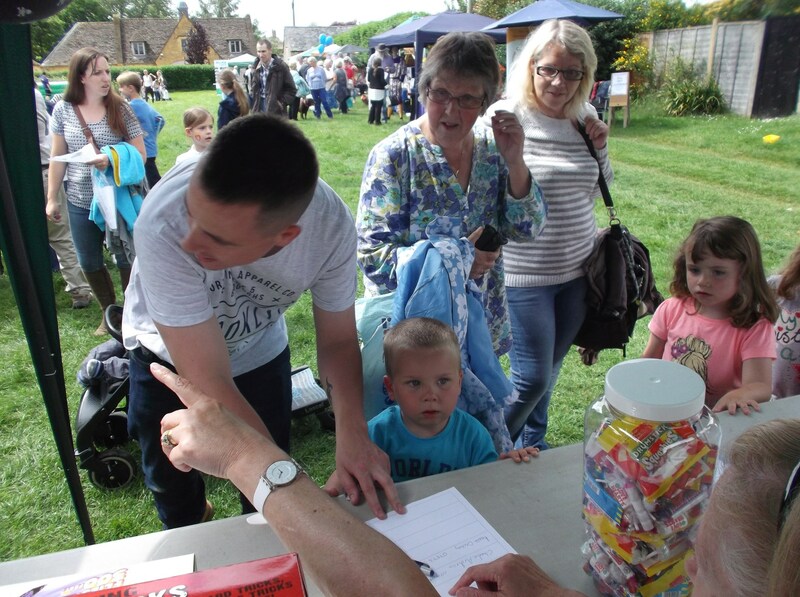 We would like to thank our many volunteer helpers for making our Fun Day a success, with a special mention to the local churches who ran the refreshment stand and to Men in Sheds for repairing several pieces of our fete equipment! 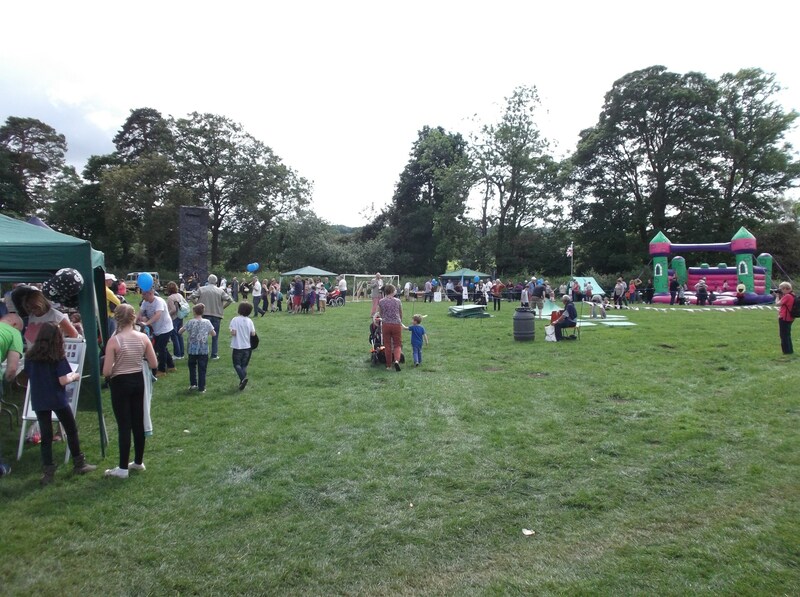 There was a lot of work involved in ensuring the event ran smoothly on the day so we're very grateful that so many people were able to help. 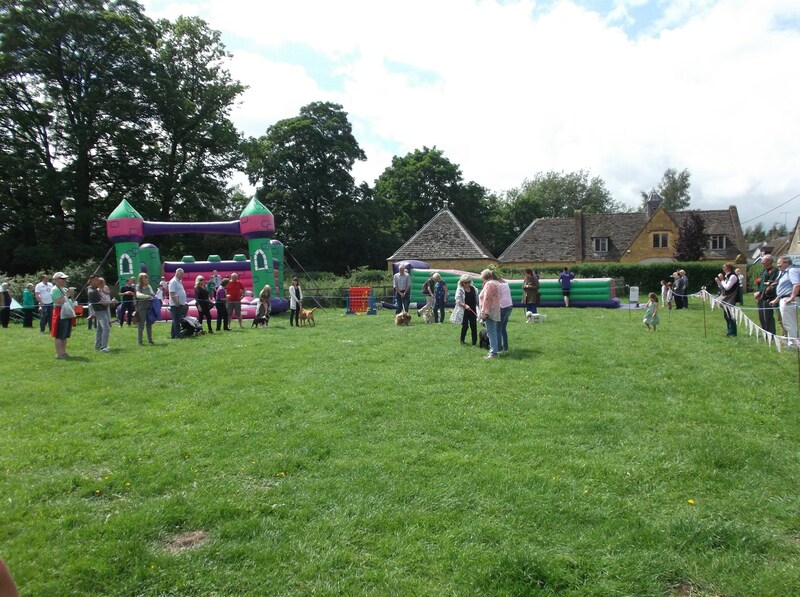 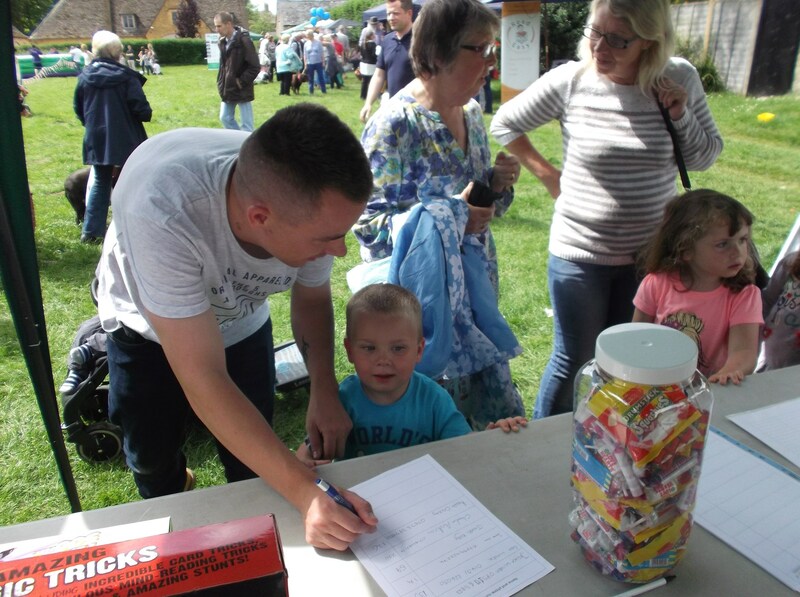 We would also like to thank the following local residents and businesses for their kind donations: Members of the Chamber of Commerce (tombola prizes), Londis (cakes), Co-Op (cakes & refreshments), Wendy - Community Champion from Stow Tesco (chocolate) & Cotswold Motoring Museum (family tickets).